Facial trauma doesn't have to define your life. Trust your smile to our skill and experience. Your smile is an extension of your personality. Injuries to the face can have severe repercussions beyond the pain and suffering they cause. People who have experienced damage to their face and teeth may find that others treat them differently because of the way they look, which can affect their personal or professional life. 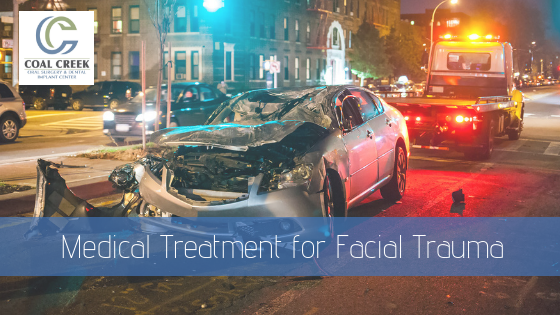 Facial injuries can also make it difficult to work through emotions surrounding the initial trauma. Many people are left with lifetime reminders of a frightening and painful time and feel anxiety and stress when they look in the mirror. At Coal Creek Oral Surgery and Dental Implant Center, we want to help you through the healing process. This may mean corrective surgery to help restore your appearance, your comfort, and the function of your teeth. Dr. Hayes served as an oral surgeon in the US Air Force, caring for our wounded servicemen and women while he was stationed in Germany. As you might imagine, Dr. Hayes has seen – and treated – all manner of severe facial injuries. He has the experience, skill, and talent to help our patients in the local community. In 2013, Dr. Hayes was named as the US Air Force Dentist of the Year. 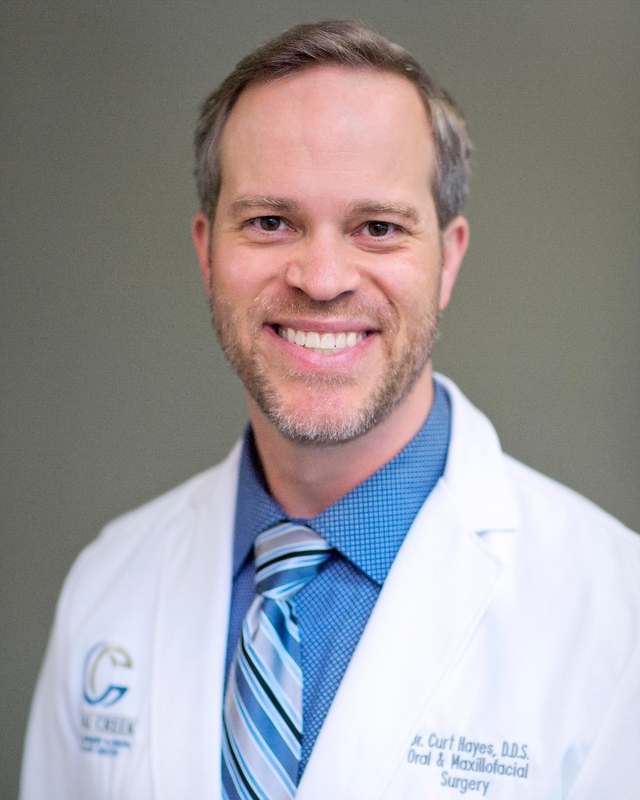 One of his greatest callings is service to others, and treating those with facial trauma allows Dr. Hayes to use his talents to relieve pain and improve his patients’ quality of life. Today, many of our patients who have suffered a facial trauma come to our oral surgery practice through referrals from local emergency rooms. We recognize that many patients in this situation are frightened and in pain. We want you to know that our office is filled with kind, gentle, and compassionate people who will help you get through this challenging time. Our goal is to provide you with the care you need and help you get back to normal. We also provide anesthesia when needed to help your procedure go smoothly, comfortably, and safely. Dr. Hayes will discuss your needs and his recommendations. General dentists can treat a range of conditions, but when it comes to facial trauma, it’s best to be treated by an experienced oral surgeon like Dr. Hayes. Many area dentists refer their emergency and surgery patients to our practice because they know their patients will get the best possible care. Even other oral surgeons have referred their more challenging cases to Dr. Hayes, knowing that he has the expertise to help where they aren’t able to. Call our Lafayette oral surgery practice and we’ll get you scheduled for an evaluation. Dr. Hayes will review your needs and take highly detailed digital images, which will allow us to better understand the extent of the damage and plan out your treatment. We accept most major dental insurance plans as well as CareCredit, so don’t let financial worries cause you to put off much-needed treatment. You are worth the investment in your appearance and health, and you deserve to look in the mirror with comfort and confidence. We'll help restore your quality of life..